Windows, without treatments, can look a little bare, and may affect the visual appeal of your home. In such situations, dressing windows with curtains, shades, or shutters can work wonders and shape the quality and atmosphere of your home without overwhelming your other design considerations. There is absolutely nothing like beautiful, well-made window treatments to bring a soft polish to the interior of your home. 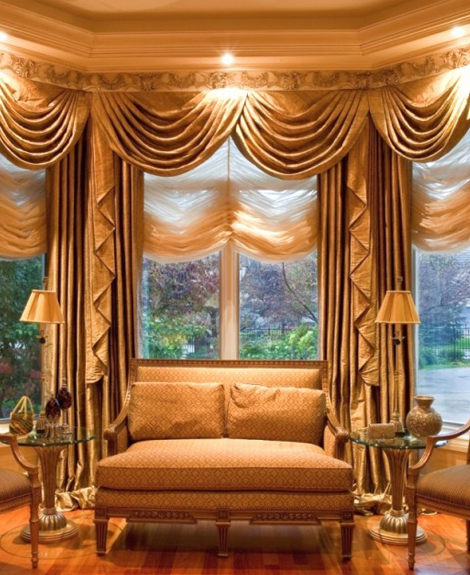 Window treatments add texture, elegance and comfort to the house. 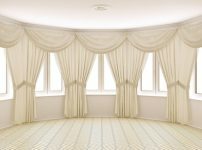 There are a variety of window treatments available in the market today such as curtains, blinds and shutters. 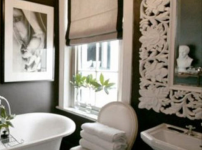 Roman Shades offer a clean modern and unfussy alternative to blinds that can be perceived as cold and curtains that can be looked upon as too fussy. They coordinate well with a variety of styles ranging from modern to traditional. Roman Shades are panels with rings sewn onto the back. Panels can be raised or lowered via a variety of mechanisms such as cords or remote controlled motors. When raised the panels stacks up into folds. 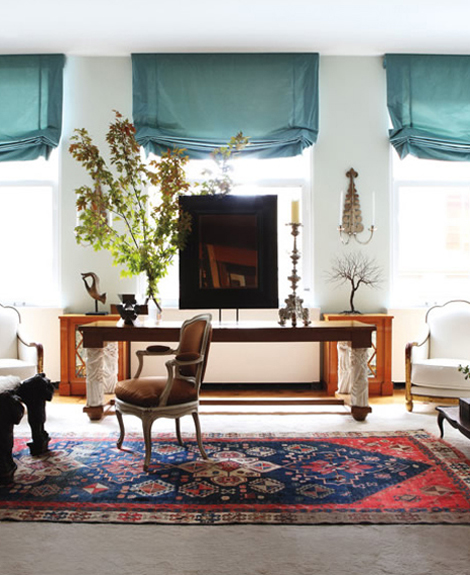 The best thing about roman shades is that they are created using a variety of supplies, from fine fabrics to natural weaves and woven type materials. Nowadays, Roman Shades are available in an array of colors, designs, finishes, sizes and styles to choose from. Roman shades add softness to the hard edges of the room while efficiently maintaining privacy and managing light control. An additional lining can be added to all styles for energy efficiency. These cost-effective window treatments provide a cozy feel to your home. Roman Shades with luxurious fabrics and consistent wrinkle free folds provide a clean crisp look that goes well with modern interiors. Un-exposed rear cords provide child and pet safety. These shades come with a variety of folds, fabrics and colours to suit your taste. Cellular shades combine the soft folds of a classic fabric Roman Shade with a cellular construction from woven and non-woven materials. The cellular construction increases the energy efficiency of these shades resulting in reduced heating and cooling bills. The cellular construction improves the acoustics of the room by enhanced noise insulation. Top-down, bottom-up options provide the right combination of privacy and light. These shades look casual but classy due to the gentle bow when raised. Relaxed Roman Shades are a good option to consider for breakfast rooms, dens, beach houses or any where you want to have a casual but classy look. Flat Roman Shades work well with traditional interiors when they are adorned with drapes. Other options include Balloon Roman Shades that offer highly decorative appeal to traditional homes. However, Balloon Roman Shades are primarily for decorative purposes and should not be considered for daily usage. Butterfly Roman Shades have a swag with winged offshoots at the bottom for added richness. Austrain Roman Shades are the most formal and traditional shades. These shades are more expensive due to the amount of fabric required for the gathers and scalloping. Available in a plethora of shapes, sizes, designs, and patterns, Roman shades are sure to drastically change the aesthetic appeal of your home in no time. 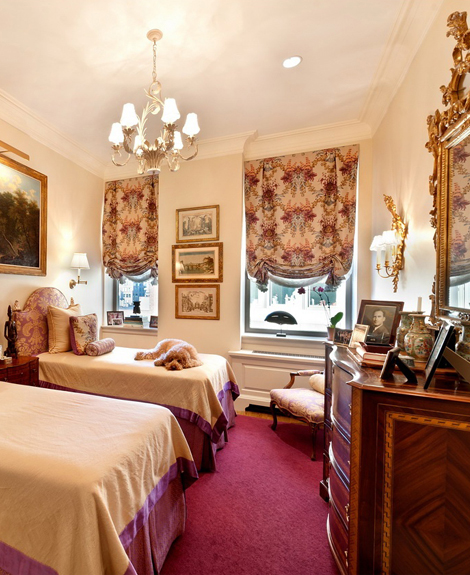 If you are a discerning customer looking for leading designers in New York City, New Jersey or Connecticut – Vogue Window Fashion is sure to help you transform the look and feel of your home. Vogue Window Fashion offers a wide range of Roman Shades in an array of styles, fabrics, colours and linings. Vogue Window Fashion’s team of skilled professionals create customized designer solutions that can make your window coverings stand out or complement your room quietly but elegantly. From plain and simple to vibrant and extravagant, the variety of Roman shades offered are manufactured inculcating cutting-edge technological tools and from leading brands such as Hunter Douglas. Vogue Window Fashion specializes in providing window covering solutions for windows of all shapes and sizes such as arches, angled windows or trapezoidal (tapered side) windows. Vogue Window Fashion’s acclaimed interior designers provide complimentary shop at home service with no obligations.